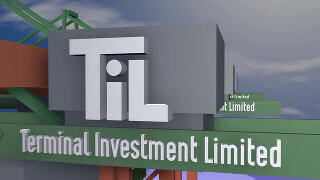 Terminal Investment Limited Sàrl(TIL) invests in, develops and manages container terminals around the world. It was founded in 2000 to secure berths and terminal capacity in the major ports used by Mediterranean Shipping Company (MSC). Since then, TIL has grown to become one of the largest and most geographically diverse container terminal operators globally, with material equity interests in 36 operating terminals and 1 development terminal and options to purchase interests in two further development terminals. TIL’s preference is to partner with other leading international container terminal operators in joint ventures that own and operate the relevant terminals. Most of TIL's terminal interests are in joint venture form that are, or are planned to become, 50/50 owned with one other partner. TIL’s largest customer is MSC, the second largest and one of the fastest growing shipping lines globally in terms of fleet tonnage, according to Drewry. 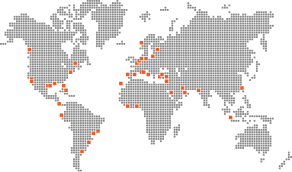 In addition to MSC, a number of TIL’s terminals provide services to other customers on contractually agreed rates and terms, including several of the world's other largest shipping companies.